Support for a particular cause can come from numerous sources and points of view, each representing different interests. Similarly, people can arrive at the site of a demonstration, united in protest against an injustice, having arrived there from many different routes (whether the routes are understood in terms of physical transportation, or different social positions, i.e. “walks of life”). One might be in agreement about the basic point made by another speaker, but disagree entirely with that speaker’s reasoning. The wrong path can be taken to the right conclusion, seen from one person’s perspective—or a momentary coincidence of agreement between two otherwise very different perspectives. That would seem to partly describe my reactions to the arguments made by some US anthropologists in favour of the American Anthropological Association showing support for the Boycott, Divestment and Sanctions (BDS) movement, against Israeli occupation of Palestinian territory. Here are some barely fictionalized examples of instances where I have been in agreement with others on a particular point, but understanding that they got to the same point from a troubling angle. The point of agreement is marked with bold text. The examples come from interactions with students, peers, friends, either in Canada or in the Caribbean, or are drawn from celebrated TV news “pundits” in the US, over many years. This is the same situation I face with numerous arguments made by proponents of the AAA academic boycott against Israel. However, the problem is even bigger than what is suggested above. (1) Personally, I do not care about anything the AAA does—I am not a member, not a US citizen, and thus not an “American anthropologist”. I have virtually no respect for that organization at all. However, I also recognize that, especially in Canada, where “Canadian” anthropology departments largely serve as retail outlets for US anthropology, the imperial hegemony of the AAA matters, and only for that reason does it deserve critical scrutiny. (2) My criticism of the pro-boycott petition and resolution is not based on the belief that its supporters are “anti-Israel” or “anti-Jewish”. (3) I am not accusing the signatories of either the pro-boycott or the anti-boycott petitions of being driven by evil intentions. There are names of scholars I respect on both petitions (the opposite is also true). (4) What I argue below is not to suggest that there is a masterminded conspiracy afoot at the AAA, motivated by grander designs, all centrally and consciously coordinated. (5) US anthropologists really should be thinking about what impact their country’s support for Israel has had on Palestinian lives, and they ought to be engaged on this issue. (6) I am already on the record on this site as saying that academic freedom does not trump all other freedoms, and now those statements appear transcribed and discussed in publications (see Fish, 2014, 2015). I am not reversing that position. (7) I am not anti-boycott in principle, as several years ago I already signed BDS petitions, and made the case here (plus here and here). This does not mean that I have not developed any reservations. (8) First, I defer to what the majority of Palestinians would like to see as a just solution to their continued colonization. Second, I would support a one-state solution. (9) If Zionism is understood in terms of racial supremacy and the conquest of other people’s lands for the sake of one’s own nation—then I am anti-Zionist. If one understands that instead there are multiple Zionisms, with widely differing positions on the current existence of the state of Israel, then I am not necessarily anti-Zionist. My point is that there is a surplus of misdirection, mendacity and hypocrisy at work among AAA members who support the academic boycott of Israel, and that the boycott is being supported using not just specious reasoning, but also by endorsing imperial political and moral narratives. The wrong conclusions are being drawn from preceding AAA actions, so as to better take the AAA on a new turn: international arbiter of human rights and protector of endangered others (and only those who are endangered by others). The same logic used in the pro-boycott petition could justify calls for regime change and sanctions against other nations that are the targets of US imperialism. All of the markers of an imperial narrative of protection and intervention are present in the motion to boycott Israel: support for “civil society” (thus reinforcing the neoliberal undermining and bypassing of Palestinian national authorities); and, asserted universals about “human rights”. The notion that violations of Palestinian rights can be traced to the work of Israeli universities—while downplaying the role of the US universities in the same endeavour—is fraudulent. I am also accusing the AAA of serving not just as an agent for imperialism, but as an agent of imperialism in its own right—by reasserting the US’ neo-feudal hold over Israel (and reminding its leaders of their proper place in the international hierarchy), and by validating US anthropology’s sense of its own superiority and indispensable centrality. The exercise is ultimately one of legitimating “American Exceptionalism,” and it almost certainly has nothing to do with concern over “human rights violations”. Not to criticize without suggesting alternatives, I would recommend that AAA members shelve the boycott motion up for a vote on November 20, 2015, and devise one that instead actually addresses and possibly remedies the problems noted above. The AAA needs to re-do all of its work on the “engagement of US anthropology with security and intelligence communities,” to remove the unethical conflict of interest that marred previous work done (where military and intelligence anthropologists essentially investigated their own), all done ironically in the name of ethics. AAA members can boycott all of the US agencies that work to support Israeli colonial occupation and that sustain Israel as a military threat to its neighbours—they can thus boycott not just all forms of support for all of branches of the military, and all intelligence agencies, but also the State Department, US universities and private corporations that work in tandem with both. If the AAA wants to defend the academic freedom of the oppressed, it can begin at home by denouncing such flagrant violations as were witnessed in the persecution of Ward Churchill, added to the persecution of critics of Israel and US foreign policy—even among US anthropologists (recall Nicholas De Genova and Thomas Abowd). If the AAA does not want to be accused of partisanship, it can condemn its own country’s war on Libya—instead of the total silence that contrasted so starkly with denunciations of the war on Iraq. Lastly, the AAA should stop assuming that it must be necessary to the lifeblood of anthropology everywhere, stop acting like the de facto World Anthropology Society and self-appointed defender of “the profession”—and for their part Israeli anthropologists should not protest any AAA move lest it be interpreted as a sign of their own fruitless dependence and subordination. Individually, US anthropologists can better serve themselves by ceasing to effectively censor and erase “imperialism” from their discourse—without a theory of imperialism, they have absolutely no way of making sense of things, of seeing the bigger picture beyond the little specialist research packets that occupy their attention (racism, sexism, militarization, etc. ), and of analyzing their own actual role in world affairs. For those who have not already lost interest in reading further, I will expand on some of these points below. A criticism that has already been voiced by others concerns the anonymous nature of the authors of the petition for a US anthropological boycott of Israel. That more than a thousand serious academics can sign onto something without knowing the origins of the document, without the possibility of examining the interests behind the statement, and the possible connections of its authors, beggars belief. I understand the need to offer anonymity to one’s interlocutors in a research setting, but I do not agree that the same principle applies to the authors of a petition, especially not those who can muster the power of support at the level of the AAA. The second problem concerns the shady reworking of timelines to account for the AAA’s response. One recent article begins as follows: “On 8 October 2015, Israeli security forces brutally beat and arrested two students of Birzeit University, a major Palestinian university in the West Bank. In response, Birzeit issued an appeal to academic and human rights institutions to speak out against the crimes of the Israeli occupation.” What is the purpose of this recent date since, as the article itself notes, BDS calls for action, and moves within the AAA, predate October 8, 2015? One is to create a sense of urgency and to point to an invitation. The AAA Task Force on Israel-Palestine recently stated, “some Palestinian civil society groups have asked AAA to intervene on their behalf”. It’s an interesting construction, one that affirms Palestinian dependency, and US supremacy, while ignoring the fact that Palestinian BDS activists have in fact called on all academics everywhere to show their support. However, suddenly it has become the mission of the AAA. They are asking “us” (the AAA) for support, and we must do something. Will the AAA commit to answering all such calls? The urgent invitation is a trademark both of recent US “Arab Spring” interventions (“we must do something,” “we must do something now,” “activists have called for our support”), and prior US imperial interventions. I am not likening support for BDS to the bombing of Libya—but I am arguing that the logic derives its compelling nature from other acts of compulsion higher up the scale of political power. The above quote comes from the motion set for a vote next week. It commits the notable act of singularizing “anthropology,” and then assumes that US anthropology represents, speaks for, or simply is all anthropology. So much for even the AAA’s efforts to orchestrate “World Anthropologies”—this is plain academic imperialism in motion. that there is academic behaviour that in and of itself and without reference to broader or more encompassing frameworks may be considered imperialistic. Boyd-Barret (speaking of media), draws a distinction between agents for imperialism (1 and 2 above), and agents of imperialism (3 above). In the AAA’s motion we see one of a number of indications of the AAA working as an agent of imperialism, namely, in asserting its hegemonic position in “the profession” worldwide. There may have been “an important departure from anthropology’s historical complicity with colonialism,” but the same cannot be said for US anthropology’s ongoing complicity with imperialism. This argument for protection is nearly identical to similar “Responsibility to Protect” arguments. It has been used in support of neocolonial regime change projects, most notably in Libya. It’s not surprising then that the same US anthropologists that signed another anonymous petition, this time for regime change in Syria, are also among the same signatories of the pro-boycott petition on Israel. Protection in response to an invitation that is urgent should, by now, be familiar markers of the contemporary US imperial narrative of moral imperatives to intervene. This time the concern is about Israel, but it also sets a precedent. Premised on “human rights” grounds, the motion remains justifiably vulnerable to anti-boycott critics who typically complain that if the AAA is so concerned about human rights then what about condemning human rights violations in…[insert your favourite list of top 10 offenders]. And they are right. If this is about human rights, then why just Palestine, and why only now? “In accordance with these stated principles in support of rights and justice, anthropologists both independently and through the AAA have taken strong stances on a number of issues: apartheid in South Africa, Namibia, and Burundi; violence against civilians in the former Yugoslavia and Pakistan; violence against indigenous and minority populations in Chile, Brazil, and Bulgaria; the use of torture; the Pinochet coup in Chile; and the misuse of anthropological knowledge in the U.S. Army’s Human Terrain System. As an organization, the AAA has also participated in boycotts on several occasions: of the Fulbright-Chile program in 1975; of the State of Illinois in 1999; of the Hilton hotel chain in 2004; of Coca-Cola in 2006; and of the State of Arizona in 2010”. Clearly the authors of the petition are thinking in terms of precedents–and the thing about precedents is that they lay a foundation for future action. The question must arise: why just these actions, and why not more in the future? Having signed on to condemnation of Israel, can you really ignore the urgent invitation to protection next time, when the case becomes Syria, or Eritrea, or Iran, or North Korea, or Cuba? The thing about “human rights” is that they are said to be universal—that means everywhere, and that does not admit “case by case” thinking. That US anthropologists should invoke the same narratives as their State Department, and perform a role in US foreign policy, does not surprise me—especially not after the “human rights” executives at the AAA backed their colleagues’ support for regime change in Eritrea, with one of those also signing the pro-boycott petition on Israel. That the cultural imperialism of human rights discourse reigns at the AAA, and not a particularly “decolonized” version at that (for all of the much vaunted “departures from colonialism”), is something that itself deserves abundant opposition. It is already well known that the overwhelming majority of US anthropologists vote Democrat—according to some studies, they vote Democrat by a ratio of 21 to 1 over Republicans.1 While not wishing to impugn their good intentions, it should not be a shocking suggestion that US anthropologists may, consciously or not, serve as the force multipliers of the Obama administration, whose anthropologist mother (and USAID employee) the AAA was eager to celebrate several years ago. What would be shocking is if, for the first time in the history of their discipline, US anthropologists had not been responsive to the political-economic contexts of their time and the commanding influence of the ruling elites. Without overdoing the matter, it is an open secret that Obama has experienced friction with Netanyahu, and the latter’s bombast sometimes seemed to undermine the authority of the former, even within the US Congress itself. Is it possible that these current, possibly superficial shifts, have signalled that the “time is now” to condemn Israel openly? That AAA members voted in a resolution to condemn the war on Iraq in 2007 (“Bush’s war”) only to suddenly become total mutes during the war on Libya (“Obama’s war”), is also suggestive of a partisan approach. Some things are safe to condemn, at some times—these are tactical decisions, not human rights decisions. In all fairness, while the motion for a resolution on Israel does mention the fact that “U.S. academic institutions facilitate Israeli academic institutions’ complicity by continuing to maintain close, extensive and privileged ties with them”–US institutions are clearly not the target of any action. Instead, the resolution is to “look away” and find the violation of human rights elsewhere. Finally, among the salient features of this boycott campaign within the AAA, and in light of the AAA Task Force’s report, is that politics now takes precedence over ethics (p. 47)—but when it came to the AAA Commission on US anthropologists working with military and intelligence agencies, the reverse was the case. Why? In this instance, it’s the AAA Human Rights Declaration that is the reference point. When speaking of US anthropologists in the Pentagon, CIA, and so forth, it was instead the Code of Ethics. The violence of US military and intelligence agencies, and State Department-backed destabilization programs, were not condemned as violations, to which US anthropologists should never contribute, to any degree or in any fashion. Indeed, there has never even been a commission at the AAA to investigate US anthropologists working in support of State Department destabilization campaigns. No, instead, the concern then, when dealing with anthropologists working for their own oppressive state, was a minimalist one. This is another reason why I think the AAA has damned itself, and its supposed support and solidarity for Palestinians. Dishonest gestures guided by ulterior motives hardly serve Palestinians, at least not as much as they may insult their struggle. What is best served by this motion, however, are (neo)liberal politics and a vindication of “American Exceptionalism”. The motion is effectively and primarily one that expresses US solidarity with US anthropology. 1. See https://www.insidehighered.com/news/2005/12/21/politics, and, https://www.washingtonpost.com/news/wonk/wp/2015/06/03/why-your-flight-attendant-is-probably-a-democrat/, and https://en.wikipedia.org/wiki/Political_ideologies_in_the_United_States. Allen, Lori, & Subramanian, Ajantha. (2015). “Engaged Anthropology: The AAA’s Israel/Palestine Task Force Report #Palestine”. Allegra Lab, October 28. American Anthropological Association. (1999). Declaration on Anthropology and Human Rights Committee for Human Rights American Anthropological Association. American Anthropological Association. (2015). Report to the Executive Board: The Task Force on AAA Engagement on Israel-Palestine. Anthropologists Against the Boycott of Israeli Academic Institutions. (2015). “The Statement”. Anthropologists for the Boycott of Israeli Academic Institutions. (2014). “The Statement”. Anthropologists for the Boycott of Israeli Academic Institutions. (2015). “The Resolution”. Baraka, Ajamu. (2013). “Decolonize Human Rights”. Zero Anthropology, July 29. Birzeit University. (2015). “Birzeit University appeals to academic and human rights institutions to speak out against the crimes of the Israeli occupation”. Birzeit University, October 8. Boyd-Barrett, Oliver. (2015). Media Imperialism. London: Sage. Fish, Stanley. (2014). Versions of Academic Freedom: From Professionalism to Revolution. Chicago: The University of Chicago Press. Fish, Stanley. (2015). “Academic Freedom and the Boycott of Israeli Universities”. In Akeel Bilgrami & Jonathan R. Cole (Eds. ), Who’s Afraid of Academic Freedom? (pp. 275-292). New York: Columbia University Press. Forte, Maximilian C. (2007). “A Major Report of a Minor Exception, or a Minor Report of a Major Problem? The American Anthropological Association’s CEAUSSIC vis-à-vis the Human Terrain System–Part 2”. Zero Anthropology, June 7. Forte, Maximilian C. (2013). “Encircling Empire: Report #21—Search and Distort Missions”. Zero Anthropology, May 11. Forte, Maximilian C. (2014). “On Eritrea: Cross-Talk Without Dialogue”. Zero Anthropology, September 20. Global Campaign of Solidarity with the Syrian Revolution. (2013). “Solidarity with Syria”. Pulse, April 29. Palestinian Campaign for the Academic and Cultural Boycott of Israel (PACBI). (2004). “Call for Academic and Cultural Boycott of Israel”. Redden, Elizabeth. (2014). “Anthropologists and Israel”. Inside Higher Ed, December 5. Redden, Elizabeth. (2015). “Academic Boycotts and Beyond”. Inside Higher Ed, October 6. Strauss, Valerie. (2014). “Anthropologists — including from Harvard, Georgetown — join academic boycott of Israel”. The Washington Post, October 5.
this is very much navel-regarding, with little to interest the non-professional. In the UK, we have a thing called “The Establishment”, which includes virtually all constituted bodies. These are, by definition, conformist, and the general public knows this. UK academia, as academia worldwide, I guess, is conformist as a whole, with the token “rebel”. I should add that the public’s awareness of this is hardly useful, since most people prefer, naturally, to remain in their comfort zone. The Establishment knows this , and relies on apathy and the powerlessness of the public. It’s called democracy; perhaps the situation is very different in Canada and the US. In Israel, of course, several academics have tried to expose the sins and failings of Zionism-as-it-is-practised (viz., the only meaningful form, is it not ?) but to little avail, if it not be a hardening of Israeli society and politics. In short, who gives a damn about why the AAA or any other stooly of the Big Boys backs any kind of boycott of Israel for any reason whatever: the essential thing is that this gesture is poorish publicity for the Zionist State, fomentor of so much strife and sadness in the world. Have I missed something ? Or was this intended as a kind of inner dialogue only? if by inner dialogue you mean a dialogue among anthropologists of various nations, yes, it is decidedly meant as that. I think it is a necessary dialogue, and if we are not the ones to engage in this dialogue, then who will do so for us? In addition, the debates within the AAA have become outer dialogue, that is, the subject of public media attention. Thus I am not even sure the inner-outer distinction makes much sense any longer. I see your point about Zionism-as-it-is-practised, but would not say that it is the only meaningful form, just by definition: it may be the dominant practical form, but clearly it has different meanings to different actors around the world (hence, meaningful), and to different traditions within Judaism itself. FWIW I’m an American and I have to say you misread American politics which is rare for a Canadian, they usually get enough of our media to understand American politics. First off, while Obama detests Netanyahu personally the last thing he wants is moves to enhance the BDS movement on USA campuses. 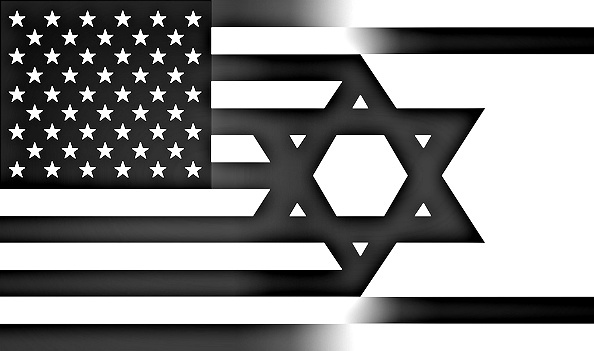 The majority of Democratic voters who care at all about foreign policy do not support Israel. The group of voters most likely (and with a history of swinging) over the Israel issue are Jewish Democrats. Thus it is in the interests of the Democratic politicians to vote against the majority of their supporters and vote with their most intense supporters on the issue. The less Israel is in the news the easier that is to do. The Academic BDS movement is interpreted (rightly IMHO) by American Jews as a threat to them, coming from the left. This is exactly the sort of issue like gun control or abortion that would otherwise get left inclined voters to vote for Republicans. No Democratic politician is helped by BDS. The Republicans want BDS not the Democrats, including Obama. Were BDS to become mainstream the Democrats could kiss Florida and Pennsylvania goodbye in the Presidential election for a decade at least. As for your suggestion to the AAA, what you suggest is against Federal Law. A college that allows civilian recruitment but disallows military recruitment loses eligibility to federal funds. Implementing your suggestion is effectively impossible. The CIA, the State Department, FBI… recruit and coordinates with Anthropology (among other groups). The NSA recruits and coordinates with Mathematics. Coast Guard intelligence recruits from biology… Universities receive massive public funding because they advance broader social interest in preparing young people for careers including in government. Thanks for the points you raised. The suggestion was not that there was an official, coordinated, and well-formulated effort for the Democrats to back BDS. What appears to be the case, however, is a general “mood swing” that sees more criticism of Israel in establishment circles than perhaps ever before in these last 40 years, thus rendering support for BDS somewhat safer than in the past. My impression may be incorrect. As for what I recommend to the AAA being against Federal law, that essentially makes one of my points: where one’s own “complicity” is structurally fortified, it may be wrong to assume that the complicity of others elsewhere is somehow looser and quicker to change. Either way, it does not stop us from denouncing such complicity at home, whether your home is Israel or the US. The point is also that those of us who are neither in the US nor in Israel, ought to be much more “careful” about dealing with anthropologists and other academics, in either of those two nations.